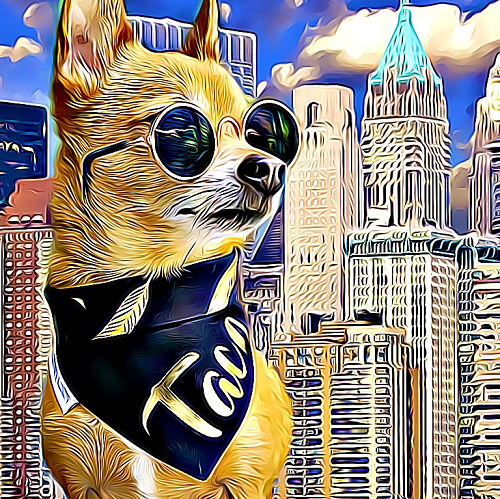 We believe that pets and art are one of the best things in the world, that is why we offer you a beautiful digital paintings of your pet. 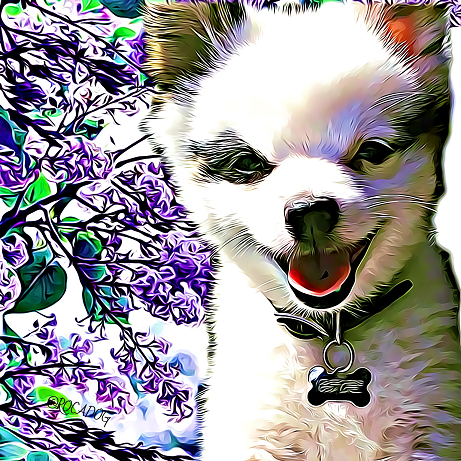 We can digitally paint your dog, cat, hamster, fish or any other pet. And we can do it on any background! 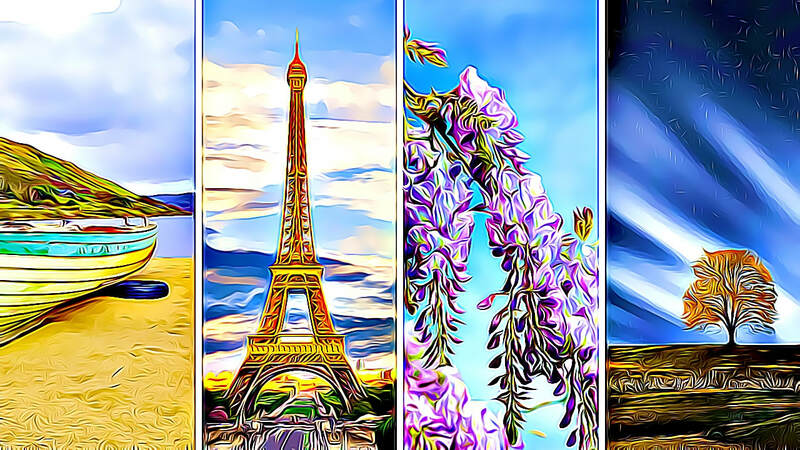 Do you love Paris, but it is too far for a visit? No problem! 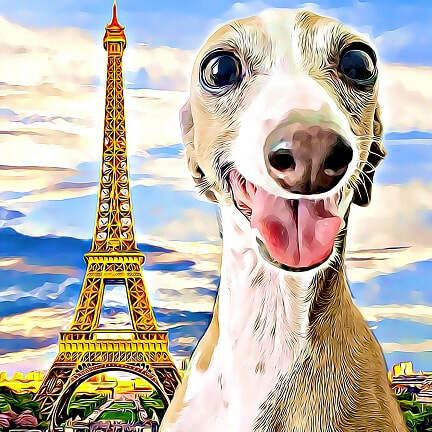 We can paint your puppy next to the Eiffell Tower - just like we did with this adorable Italian Greyhound. Is your photo good for digital painting? Will you print the paintings? If yes, what print size do you want? Do you want your or different background? Do you need any text on the painting? After we agree on all the important things, we will send you our PayPal payment link and we will start with the painting process. Most of the time we will send you the digital painting in 24 hours. Maximal delivery time is 3 days. We accept payments via PayPal. After you send us the email with photo of your pet, we will send you back all the necessary information, including our PayPal account. Do you offer some discounts? We offer you a quantity discount. If you order 5 digital paintings from us, you will only pay for 4. Do you paint other animals than dogs? Definitely. We can paint any pet you have. Cat, hamster, guinea pig, horse, rabbit, etc. Do you offer some revisions? We offer one free revision. WHAT BACKGROUNDS DO YOU OFFER? 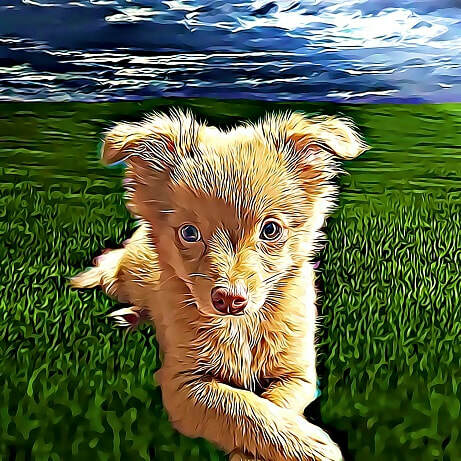 We can paint your dog on the original background of the photo. You can choose a custom background and send it to us (for example photo of mountains from your vacation). Or you can let us recommend you one of our backgrounds. We will offer you different backgrounds including landscape, sunset, colors, flowers, mountains, interiors. It is up to you, which one do you like. IMPORTANT: This is a digital painting. Nothing will be physically shipped to you. The portrait will be send to your email as a PNG file and it will be ready to print at home or at a professional print center.